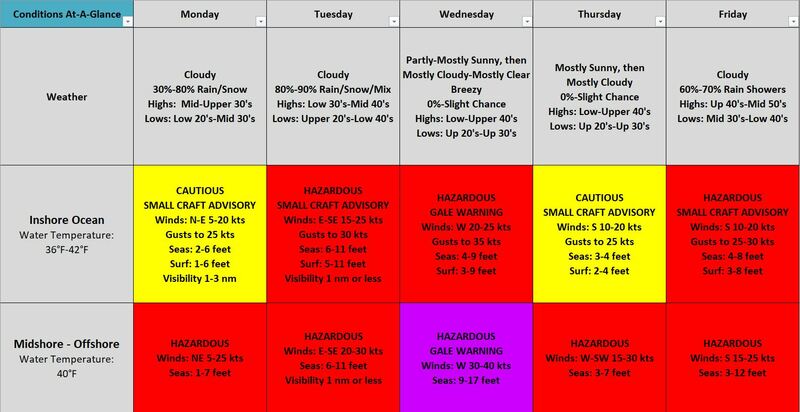 A wet week with mostly hazardous weather conditions. Monday, Tuesday, and early Wednesday will have two systems moving through bringing rain, snow, and a wintry mix to the area. 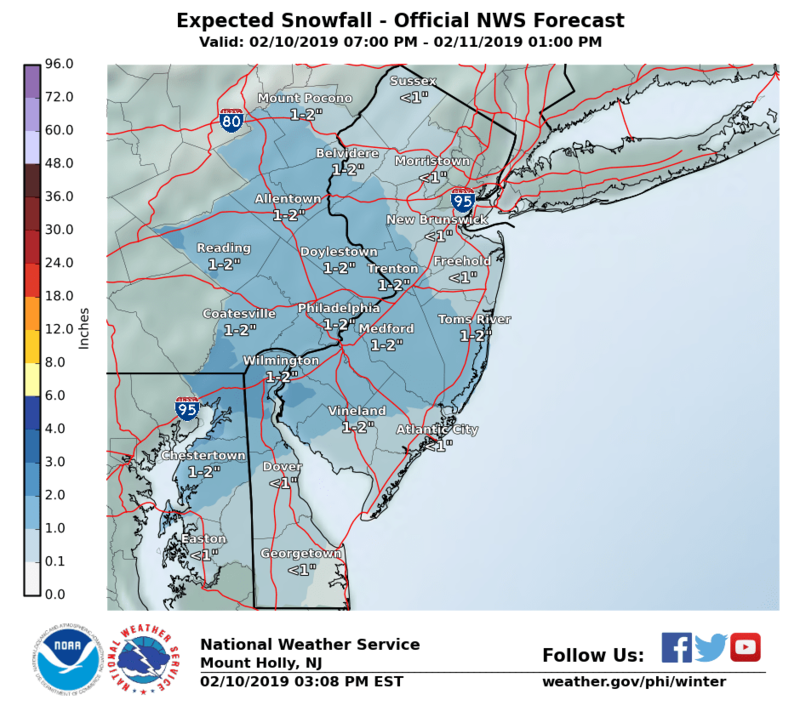 Sunday Night into Monday will bring a few inches of snow to the state, with the greatest accumulations across Central NJ. A second system will bring snow, rain, wintry mix, and even ice to the state. 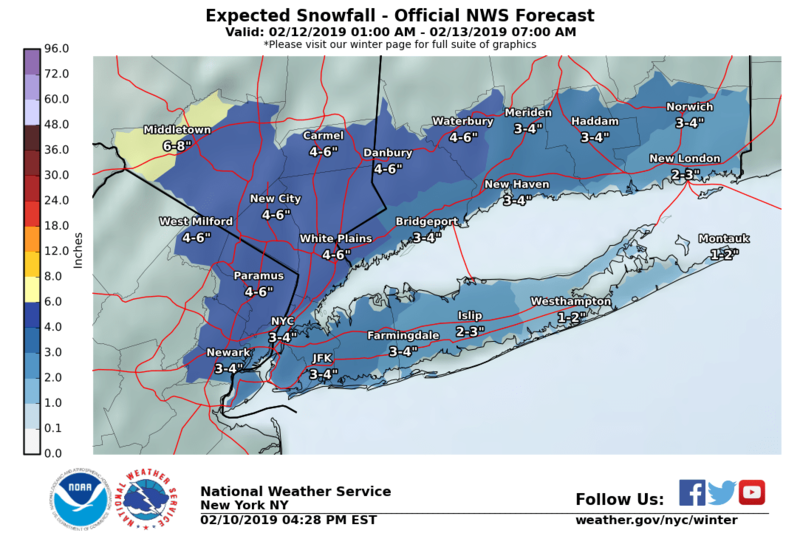 This system will bring more snow to Northern NJ, but an inch to a few inches are possible statewide through Wednesday. Precipitation will changeover throughout, but will end as rain for many areas. Ice will be possible too, throughout, making surface conditions hazardous. Wednesday and Thursday will be mostly dry, followed by showers possible on Friday and Saturday. Sunday looks to be dry. Highs will range from the 30’s to 50’s with lows in the 20’s to 40’s. 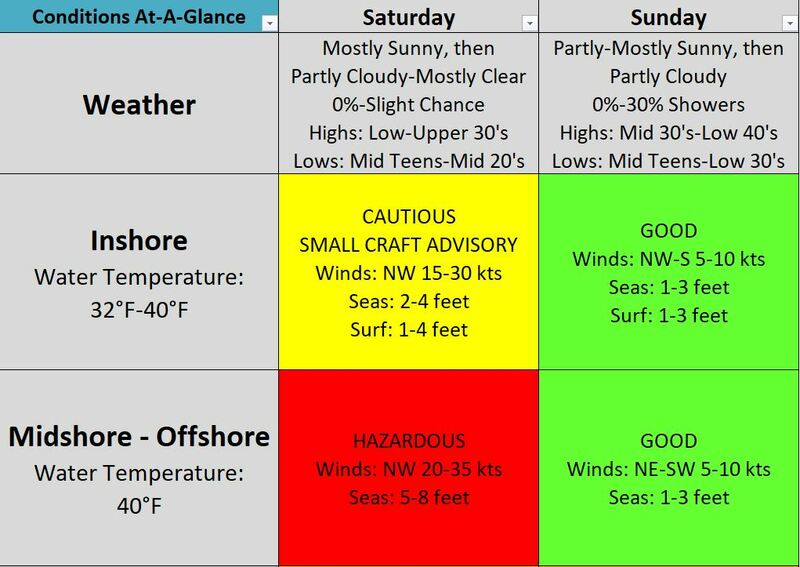 Water conditions will be cautious to hazardous with Gale and Storm Warnings likely. Water temperatures are in the 30’s and 40’s. High pressure will slide offshore through tonight. A wave of low pressure will cross the forecast area tonight into Monday. A stronger low pressure system will impact the region Monday night into Tuesday with a cold front crossing the area Tuesday into Wednesday. High pressure will then build into the region for Thursday. Another low pressure system will track across the Ohio Valley on Friday, dragging a cold front through the area on Saturday. A return to high pressure is expected for the start of the new week.